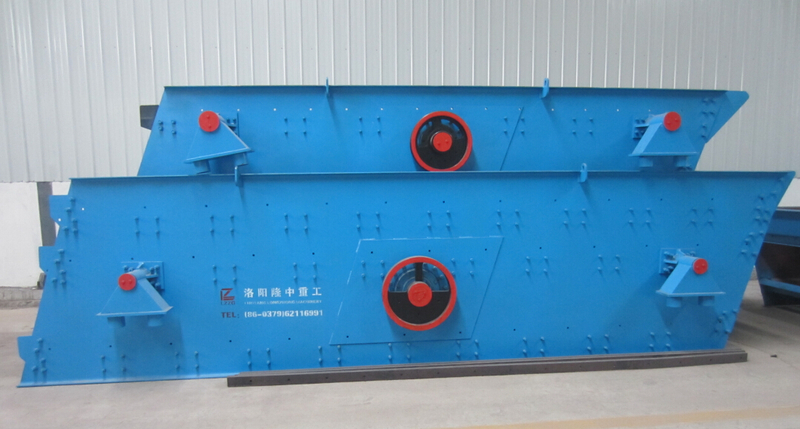 Mining circular vibrating screen is a multi-layer, high-efficiency new vibratory screen separator. 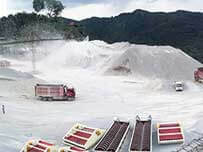 In the current mining machinery manufacturers, the common screens include mine vibrating screen, mining linear vibrating screen, sand and gravel vibrating screen, etc. In addition, various types industrial vibrating screens are widely use in coal mine, building materials, chemical, electric power and ceramic industry. 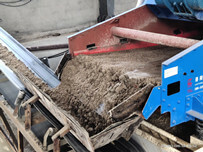 Circular vibrating screen adopts high technology, which can automatically discharge the coarse impurities, so that the materials stuck in sieve holes can jump out and prevent the screen hole from clogging; the screen box vibrates strongly to have higher screening efficiency and productivity. And the screen inclination angle can be changed to change the moving speed of material along screen surface to increase the processing capacity. 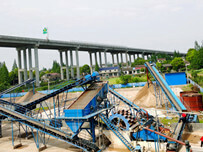 In vibrating screen, the height and falling trajectory of medium are related to rotation speed of cylinder, medium quantity and lining form; In general, the movement state of medium can be divided to three according to the rotation speed of mine vibrating screen cylinder from low to high. 3. When the rotation speed of cylinder is increased to the limit value, all the medium will rotate with the cylinder without falling, and this will become the centrifugal state of medium; in the centrifugal state, the grinding effect will generally not occur; therefore, the inclined vibrating screen not working in this state. 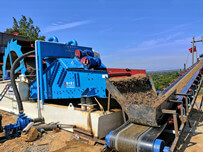 When vibrating screen machine is working, its vibration rate is strong and stable, without any excessive movement. So the failure rate is very low, and the number of maintenance is reduced. And it has many advantages such as large processing capacity, long service life, low energy consumption and low maintenance cost. Its characteristics are mainly reflected in reliable structure, strong excitation force, high screening efficiency, low vibration noise, sturdy and durable, convenient maintenance and safe use.